Four years ago, Steph Jeavons set off from London’s Ace Café to embark on a mammoth journey to circumnavigate the globe on her Honda CRF250L. Now, 74,000 miles and 53 countries later, she is back home. Having used Auritech Biker hearing protection on her journey, we caught up with Steph to find out some more about her record breaking journey. 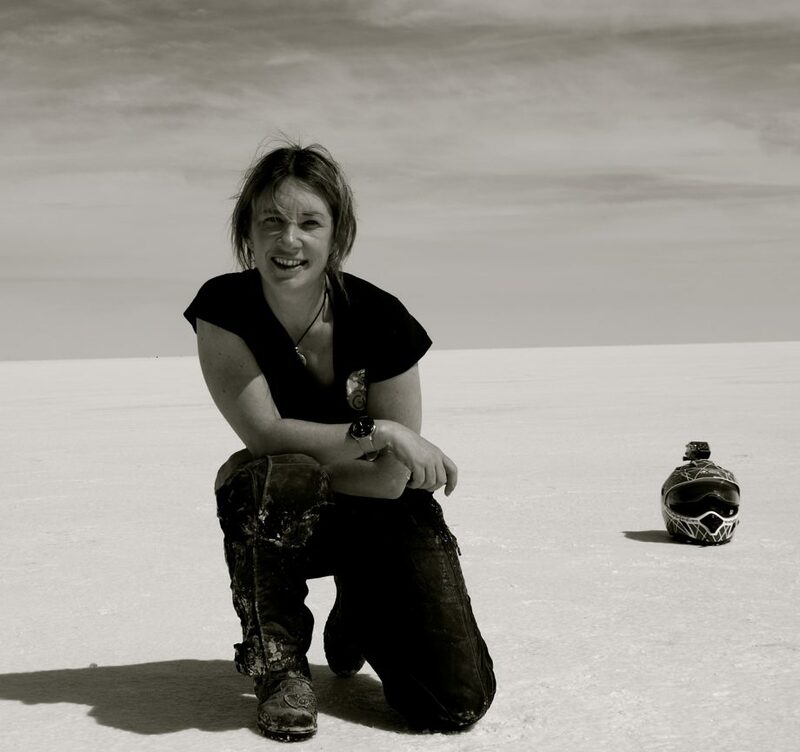 She said: “I have just completed a solo ride around the world on my motorbike, becoming the first to circumnavigate the globe and actually ride a motorbike on all seven continents. The journey took me four years, through 53 countries and over 74,000 miles. “During this time I used Auritech intelligent hearing protection earplugs. These were moulded to fit my ear just before I left. I had never tried personalised earplugs prior to this and so I was keen to try them out. I was very pleasantly surprised. “The earplugs have a precision noise filtration system built in. This means it drowned out the damaging wind and engine noise, yet allowed me to hear people speaking to me without having to remove my helmet and earplugs! Brilliant! There was no muffling effect either so I barely noticed I was wearing them. I worried at first about using them in the busy cities, but I found it actually allowed me to be more aware of what was going on around me. In cities like Mumbai or Kathmandu where the noise is constant and chaotic, I found they allowed me to stay focused for longer periods. “The earplugs were also extremely comfortable as they are soft and sit effortlessly against the skin even on those long eight hour riding days. “I worried about losing them at first, but they never fall out and they came with a nice little pouch for when I stop riding. It was easy to get into the habit of putting them away in the correct place every time. You can read all about Steph’s record breaking trip at her blog: http://www.stephmoto-adventurebikeblog.com or if you'd like to know where you can purchase your own set of custom fit earplugs, you can find out on our where to buy page.